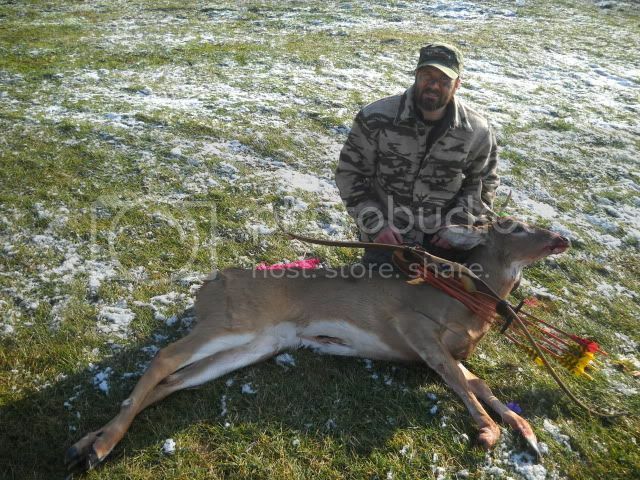 i was blessed to harvest two deer this year.they both were shot at ten yards or less and both recoverd within forty yards,shot with my robertson recurve with doug fir arrows with grizzly 190 broadheads.the first one was early in the season and the second one was on christmas eve morning. Great job. Fine looking bucks. Nice bow as well. yes a very good season. 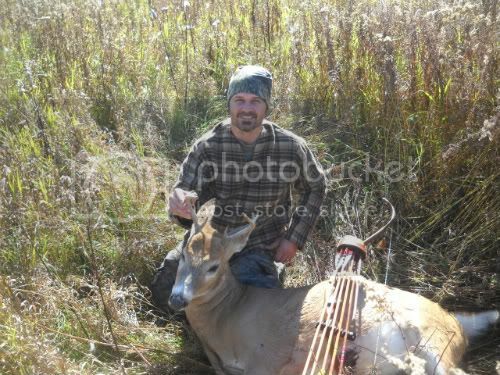 Great job Chad and that's a great looking bow. Congrats on a productive year. Two very nice bucks! Congratulations! I like your camo in each picture. Something i’m still trying to do, make 2 happen in a year! Great job! John 3:16 "For God so loved the world that He gave His only begotten Son, that whoever believes in Him should not perish but have everlasting life.